When will be Celebrity Barging next episode air date? Is Celebrity Barging renewed or cancelled? Where to countdown Celebrity Barging air dates? Is Celebrity Barging worth watching? 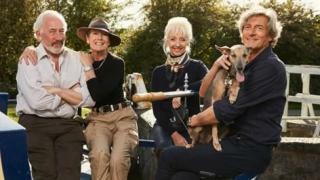 Travelogue series following five UK celebs as they enjoy life in the slow lane aboard barges. Tom Conti, Diarmuid Gavin, Tessa Sanderson, Tony Christie and Penny Smith go narrowboating along two of France's best-loved waterways, the River Lot and the Canal du Midi. As the gang get used to the leisurely pace of river barging, they stop off at the ancient city of Cahors. 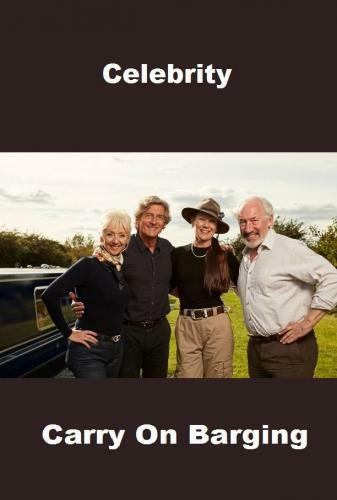 After the gang visit two British artists who have devoted their lives to painting the River Lot, Tom Conti and Tony Christie view some prehistoric art in a sprawling cave system. And Diarmuid Gavin gets stuck in to some tasty snails. After their fun and frolics on the River Lot, the gang tackle the Canal du Midi. They have new boats and set off across France's largest lagoon, the Etang du Thau, before entering the canal near Marseillan. For the fourth and final leg, the famous five continue along the Canal du Midi, in the vicinity of the southern French town of Beziers. But life on the canal is not as tranquil as the gang were expecting. Celebrity Barging next episode air date provides TVMaze for you. EpisoDate.com is your TV show guide to Countdown Celebrity Barging Episode Air Dates and to stay in touch with Celebrity Barging next episode Air Date and your others favorite TV Shows. Add the shows you like to a "Watchlist" and let the site take it from there.